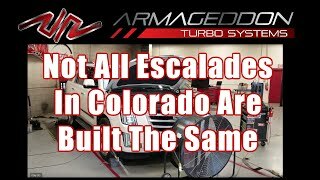 Not all Escalades in Colorado Are Built The Same-2015 Cadillac Escalade-Twin Turbo System-Dyno Test https://goturbo.net - 505-672-8112 - info@GoTurbo.net Please subscribe to our channel and thumbs up our video. 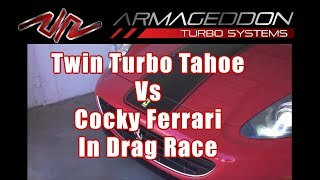 Cocky Super Car Ferrari Messes With Wrong Sleeper Chevy Tahoe Twin Turbo Has 1000HP To... https://goturbo.net - 505-672-8112 - info@goturbo.net - Please like our video and subscribe to our channel. 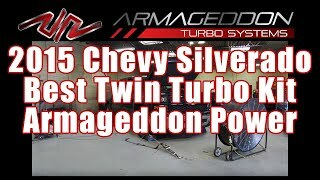 Armageddon Twin Turbo Kit On Silverado - Dealer Mechanics Flip Out - Armageddon Twin Turbo Power https://goturbo.net - 505-672-8112 - info@GoTurbo.net Please subscribe to our channel and thumbs up our video. Dave Rachou takes the dealer mechanics on a ride in our Silverado that has Armageddon twin turbo kit installed. 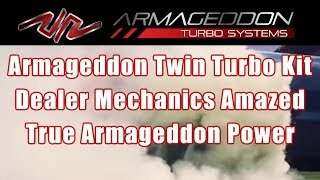 Become an Armageddon Preferred Installer - Armageddon Turbo Systems - GM 1500 Twin Turbo Kits https://goturbo.net - 505-672-8112 - info@GoTurbo.net Please subscribe to our channel and thumbs up our video. 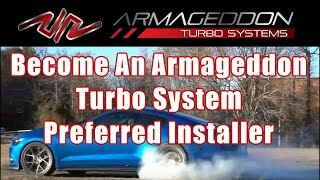 We are looking for Armageddon Turbo System Installers for our product. This is the best product on the market today. Please Thumbs Up our video and Subscribe to our channel! 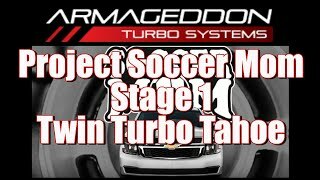 In this Armageddon Vlog, Dave makes his way from Galveston, TX to New Orleans, LA in the 1000 HP Chevrolet Tahoe, "Project Soccer Mom". In Armageddon Vlog 13: Dave Rochau tells us about our recent service trip to Dubai, United Arab Emirates. 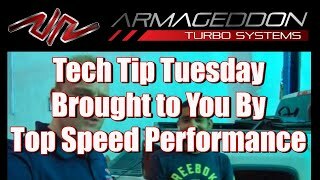 In the Middle East for: Tech Tip Tuesday https://goturbo.net - 505-672-8112 - info@GoTurbo.net Please subscribe to our channel and thumbs up our video. 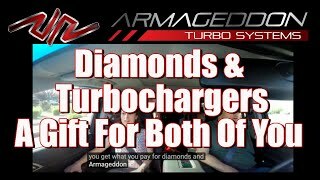 Diamonds and Turbochargers: A Valentine's Day DEAL - Armageddon Twin Turbo System https://goturbo.net - 505-672-8112 - info@GoTurbo.net Please subscribe to our channel and thumbs up our video. From today through February 14, 2018, get a Hearts on Fire Diamond Pendant on us when you purchase any turbo kit through our website. What kind of Fuel Mileage from 1000+ HP Chevrolet Tahoe? 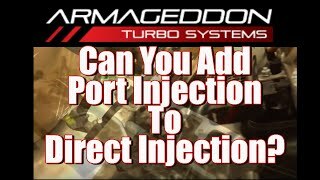 - Armageddon's Port Injection setup https://goturbo.net - 505-672-8112 - info@GoTurbo.net Please subscribe to our channel and thumbs up our video. 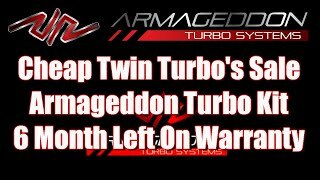 CHEAP TURBOS....for one customer...Armageddon Twin Turbo Kit - Still Under Warranty 6 Months https://goturbo.net - 505-672-8112 - info@GoTurbo.net Please subscribe to our channel and thumbs up our video. 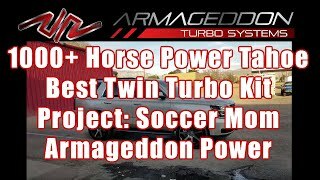 Armageddon twin turbo kit deal, check it out. 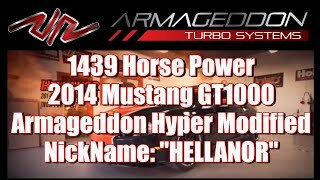 1400 Horsepower 2014 Mustang GT1000: Sale went WRONG - Armageddon Hyper Modified - "Hellanor" https://goturbo.net - 505-672-8112 - info@GoTurbo.net Please subscribe to our channel and thumbs up our video. 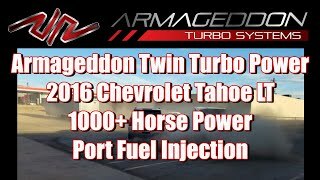 Closer to 1000 Horsepower: Twin Turbo Tahoe - Port Fuel Injection - Armageddon Twin Turbo Power https://goturbo.net - 505-672-8112 - info@GoTurbo.net Please subscribe to our channel and thumbs up our video. 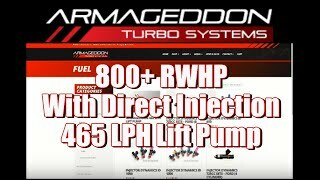 In this Video, Dave Rochau tells us about the progress on Project: Soccer Mom our own 2016 Chevrolet Tahoe LT.
800+ RWHP with Direct Injection: 465 LPH Lift Pump - Plug and Play Installation: No... https://goturbo.net - 505-672-8112 - info@GoTurbo.net Please subscribe to our channel and thumbs up our video. Can You Add Port Injection to Direct Injection? 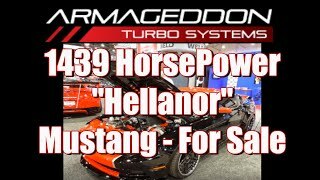 - make more than 1,000 Horsepower to... https://goturbo.net - 505-672-8112 - info@GoTurbo.net Please subscribe to our channel and thumbs up our video. 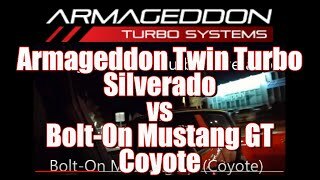 1/2 Ton Silverado Truck With Armageddon Twin Turbo vs. Mustang GT (Coyote) - Armageddon power https://goturbo.net - 505-672-8112 - info@GoTurbo.net Please subscribe to our channel and thumbs up our video. 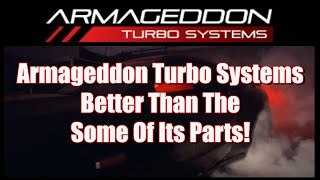 Value: Armageddon Turbo Systems - best performance companies on the planet https://goturbo.net - 505-672-8112 - info@GoTurbo.net Please subscribe to our channel and thumbs up our video. Value. It's about more than dollars and cents. 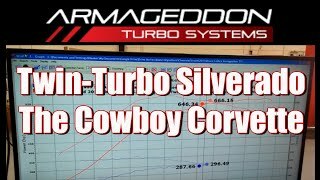 Twin-Turbo Silverado: The Cowboy Corvette - Armageddon Power - Crushes Competition https://goturbo.net - 505-672-8112 - info@GoTurbo.net Please subscribe to our channel and thumbs up our video. Meet Bruce Lethco. Bruce thought he wanted a Corvette, but he came to discover he could have all the power in his PICKUP TRUCK! 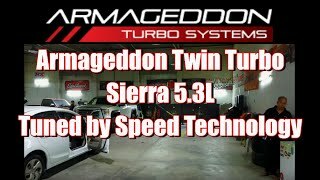 Armageddon Twin Turbo Sierra 5.3L: Tuned by Speed Technology - Armageddon Power! 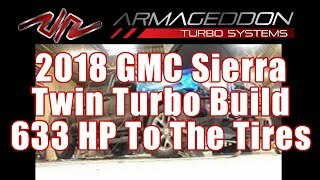 https://goturbo.net - 505-672-8112 - info@GoTurbo.net Please subscribe to our channel and thumbs up our video. 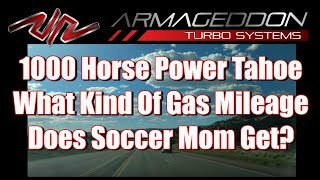 Project Soccer Mom Stage 1: Twin-Turbo Tahoe - Armageddon Turbo Power - Awesome! 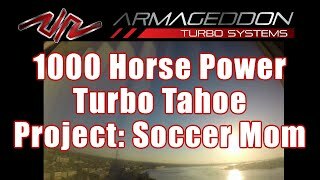 https://goturbo.net - 505-672-8112 - info@GoTurbo.net Please subscribe to our channel and thumbs up our video. 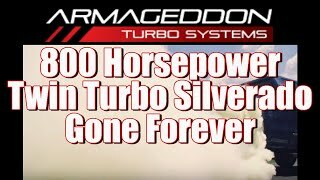 800 Horsepower Twin Turbo Silverado: Gone Forever https://goturbo.net - 505-672-8112 - info@GoTurbo.net Please subscribe to our channel and thumbs up our video. 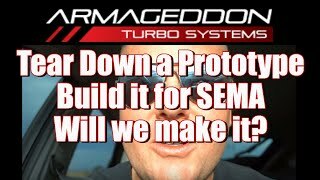 Tear Down a Prototype; Build it for SEMA; Will we make it? 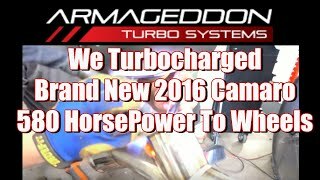 https://goturbo.net - 505-672-8112 - info@GoTurbo.net Please subscribe to our channel and thumbs up our video. In Armageddon VLOG_007 our Armageddon HQ staff burns the midnight oil at Motiva Performance in Albuquerque, NM. 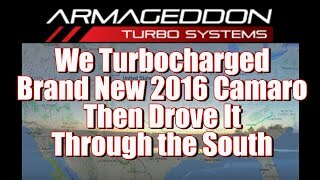 We Turbocharged a Brand New 2016 Camaro, Then Drove it Through the South - 700+... https://goturbo.net - 505-672-8112 - info@GoTurbo.net Please subscribe to our channel and thumbs up our video. 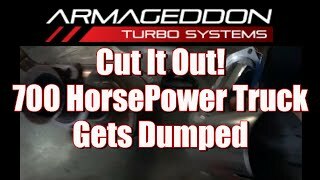 Dumping a 2016 Twin Turbo Camaro - 580 HorsePower - Armageddon Power https://goturbo.net - 505-672-8112 - info@GoTurbo.net Please subscribe to our channel and thumbs up our video. Cut It Out! 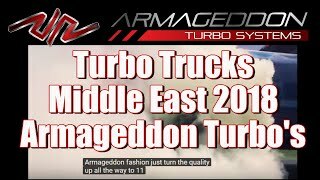 700 HorsePower Truck Gets Dumped - Massive Armageddon Power https://goturbo.net - 505-672-8112 - info@GoTurbo.net Please subscribe to our channel and thumbs up our video. 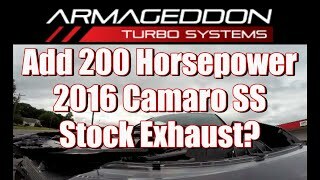 Can you add 200 Horsepower to a 2016 Camaro SS on Stock Exhaust? 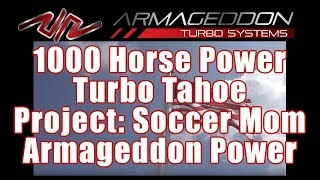 Armageddon Turbo... https://goturbo.net - 505-672-8112 - info@GoTurbo.net Please subscribe to our channel and thumbs up our video.